Not used to play. I put it as a bottom head to reduce air compression in my electronic snare drum. For me it improved the sound capture. I have used these as the "resonant" heads on my converted acoustic kit. They are good quality but I don't play them so cannot comment on their feel or noise characteristics. 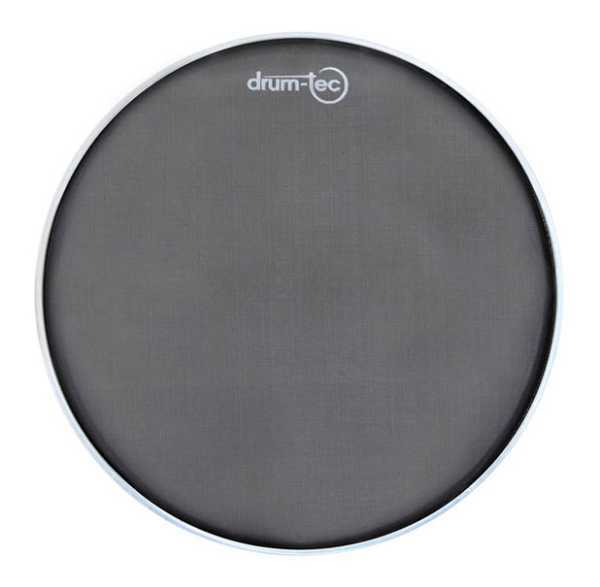 drum-tec real feel Mesh Head Set Rock 22", 12", 13", 16", 14"
drum-tec real feel Mesh Head Set Standard 22", 10", 12", 16", 14"
drum-tec design Mesh Head Satz Standard 22", 10", 12", 16", 14"